Huawei released the P30 Pro with the top of the line camera features which can capture pictures with 10X zoom. The 7nm Kirin 980 chipset powers it, and there is nothing Huawei has skipped in this smartphone. Huawei P30 Pro now holds the throne on DxO Mark by scoring a whopping 112 points. 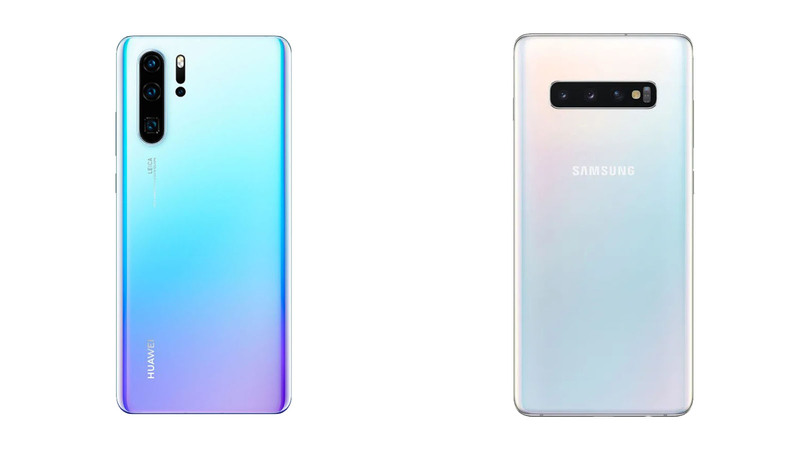 Just below the Huawei’s P30 Pro is the Samsung Galaxy S10 Plus with a total score of 109 points. Samsung made its smartphone perfect with their top of the line hardware and software. The Galaxy S10 Plus comes with the triple camera set up at the rear with dual camera setup for selfies. The smartphone comes with the flagship grade processor paired with up to 12 GB of RAM. Let’s see which smartphone among these two smartphones is worthy for your hard earned money and which smartphone will suit you best. The Huawei P30 Pro is a beautiful device with all that shimmer at the back and the gradient color selection is icing on the cake. The smartphone comes with a curved back panel made of glass with a gradient pattern beneath it. The smartphone looks stunning with the metal frame and fits perfectly into the hands all because of the slenderness of the device. The Samsung Galaxy S10 Plus is again a beautiful device which comes with a glass back. There is no gradient thing going on here, so if you need a more classy look then you got three color options to choose from. The smartphone comes with an extra button called “Bixby key” to launch the assistant. Samsung is providing a ceramic finish on the highest version of the Galaxy S10 Plus. The Huawei P30 Pro comes with a big 6.47 inches display with (1080 x 2340) FHD+ resolution. Huawei used an OLED panel on P30 pro which looks excellent with the curved edges *cough* Samsung *cough*. 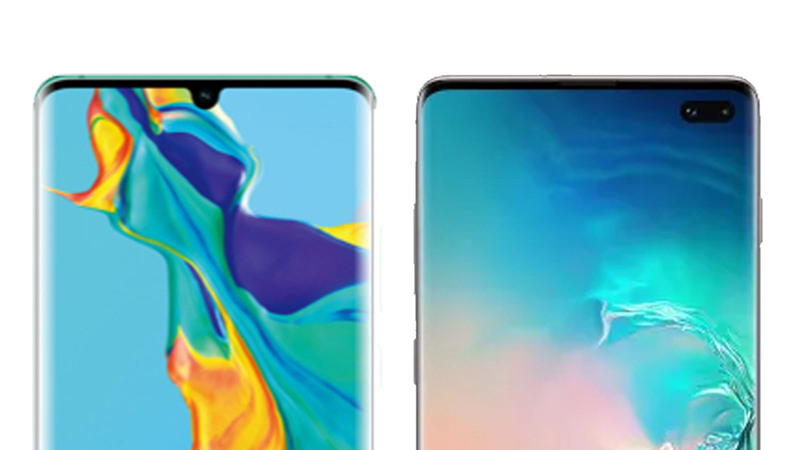 The smartphone comes with a notch on the display which is much smaller than the Mate 20 Pro and what we are getting in most of the smartphone now. The Samsung Galaxy S10 Plus sports a 6.4 inches display with a (1440 x 3040) QHD+ resolution. It features the latest Dynamic AMOLED panel which has the highest brightness on a smartphone display yet with HDR10 support. The color reproduction and viewing angles on this smartphone are unusual, and this is the most beautiful smartphone display you can get. Samsung put a hold in the screen which is shaped like a pill because of dual camera setup for selfies. If you are looking for the best display on a smartphone for multimedia consumption, then Samsung Galaxy S10 Plus will be a good choice over P30 Pro. Huawei P30 pro is equipped with their very own HiSilicon Kirin 980 chipset which is based on the 7nm fabrication process. This chipset was first introduced in the Huawei Mate 20 Pro, and as expected, it amazed all of us with its performance. The gaming is smooth, the multitasking is super, and when it comes to showing off the Ai features, they are fast too. 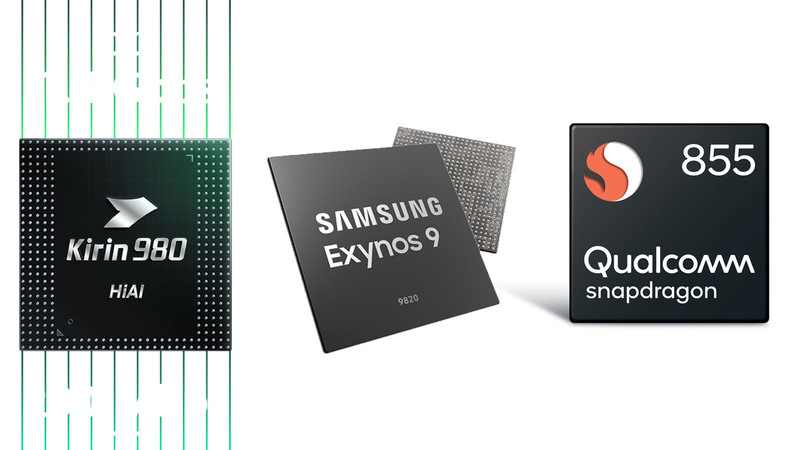 Whereas the Samsung Galaxy S10 Plus comes with their very own Exynos 9820 chipset which is based on the 8nm fabrication process. Although the global variant comes with the Qualcomm Snapdragon 855 chipset which is based on the 7nm fabrication process, it doesn’t matter whichever the chipset you are getting the depending on your location. Both the chipsets are pretty much capable of yielding a similar kind of performance. Now, comparing these two smartphones performance is not going to change the fact that both smartphones are powerful enough to handle any games easily. You won’t see any problem with multitasking in your day to day life. Huawei was primarily focused on the camera on their smartphones. Lately, the Mate 20 Pro was the first smartphone that comes with a triple camera setup. The Mate 20 Pro comes with a quad camera set up this time, three of those are actual optical cameras whereas the fourth one is more of a sensor. The three sensors are; 40MP Super Spectrum sensor, 20MP Wide sensor and 8MP periscopic sensor with 5X optical zoom. All these sensors together can capture a 50X zoom picture. Samsung, on the other hand, comes with a triple camera setup which includes a 12MP sensor with variable aperture, another 12MP sensor with 2X optical zoom and a 16MP ultrawide sensor. The Galaxy S10 Plus comes with a super wide picture mode which captures a super wide panoramic shot without moving your phone. Galaxy S10 Plus is the first phone in the industry which can record video sin HDR10 quality. Huawei P30 Pro comes with a big 4200 mAh battery which comes with a 40W charging tech but Galaxy S10 Plus is not far behind with its 4000 mAh battery. Both smartphones come with wireless as well as reverse wireless charging capability, except the fact that P30 Pro comes with 15W reverse wireless charging. Huawei P30 Pro comes running the latest version of Android, Android 9 pie layered with their own EMUI 9.0. The Galaxy S10 comes with OneUI based on Android 9 Pie as well when coming to the user interface, Samsung got the point here. In miscellaneous features, both brands did similarly and seemed to be working pretty seamlessly. 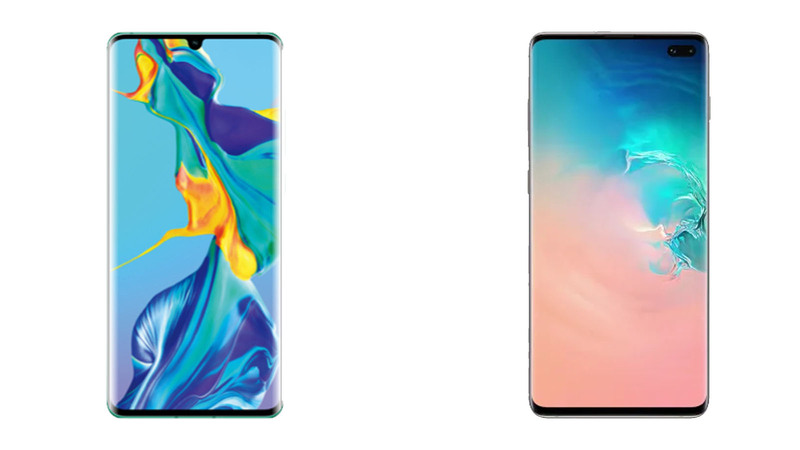 The Samsung Galaxy S10 Plus and Huawei P30 Pro are a worthy contender in this comparison. These smartphones come with a wide range of features which cannot be covered in a single article. 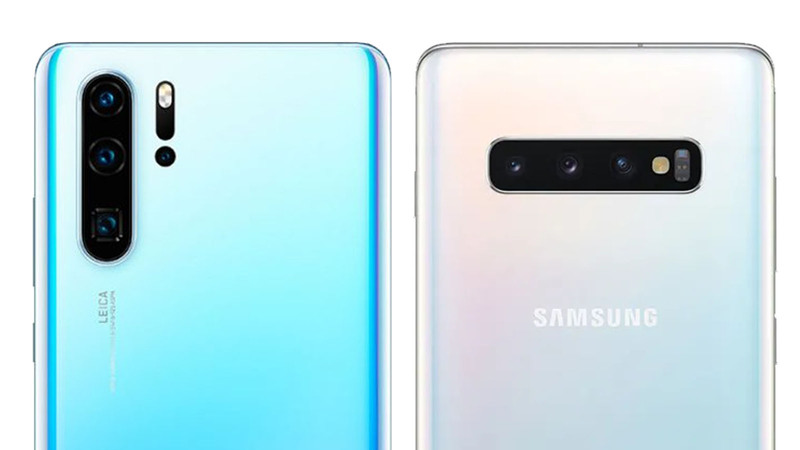 So, to conclude my analogy here, I will give my vote to the Samsung Galaxy S10 Plus in terms of the software, performance, and features. But when it comes to camera features, I go with the DxO Mark and vote for the Huawei P30 Pro.